This cart has 16 percent larger opening for an easy mop insertion. High-efficiency wringer with 30-degree handle bend is easier on user's wrists and shoulders. 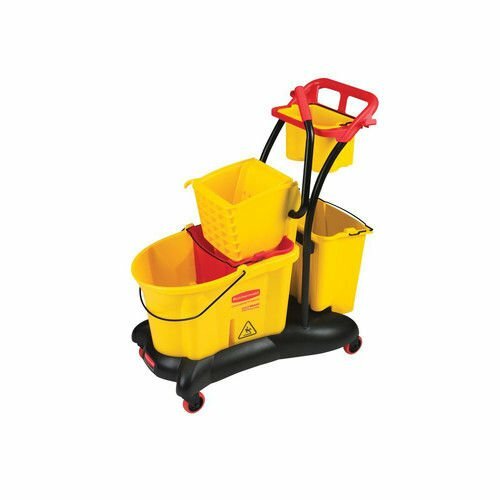 Value-added features make this an ideal compact janitor cart. It includes two dirty water buckets and maid caddy. Capacity: 35 Quarts. Made in the USA.